Join fellow Royals and spread the love. Our alumni magazine features stories and information about alumni, students, faculty and staff. Take the opportunities to connect with like-minded professionals. 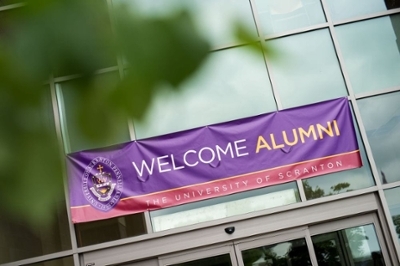 With more than 51,000 Scranton graduates out there, connecting with fellow alumni couldn’t be easier, and we're here to help! 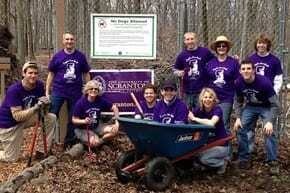 Reimmerse yourself in the Scranton culture by joining a regional club. Help plan, engage alumni and volunteer. Connect with alumni through professional groups and opportunities. 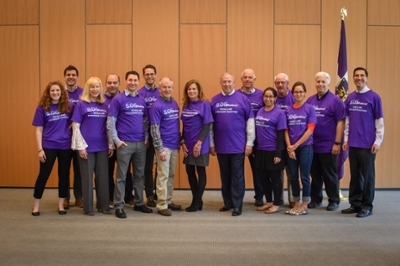 The Alumni Society Advisory Board partners with the University to create meaningful programs and opportunities for our alumni and students in support of the University’s mission. Come together again where it all began. Opportunities to reconnect with classmates are just a click away! Every gift counts! Here’s what you should know about making a gift. 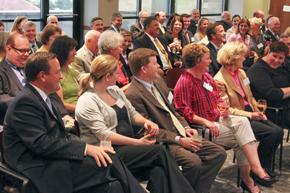 Take advantage of the various alumni benefits. Make sure to update your contact information so that we can share all of the exciting things that are happening at The University of Scranton. Your classmates want to know what you have been up to - so share your news! Find out what’s happening with your friends by browsing the class notes.